Does your voice tire as the teaching day progresses? Can’t you hear learners as they work on the board? Do you need to interact with sport training groups? Do you like to be heard without shouting? 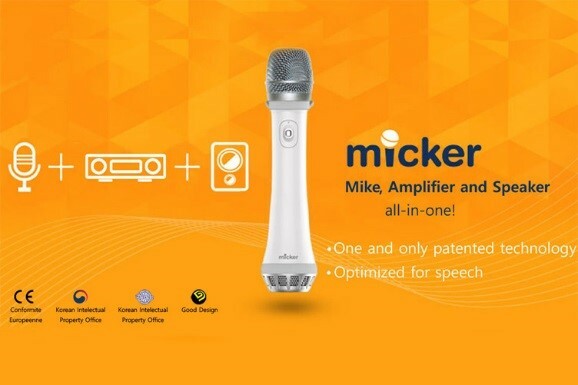 The new Micker hand-held voice amplification device can change all that. A cable-free handheld microphone + amplifier + speaker all-in-one that offers relief to these problems and solutions for many more. It is suitable for classrooms, conference rooms, group activities, seminars and more.